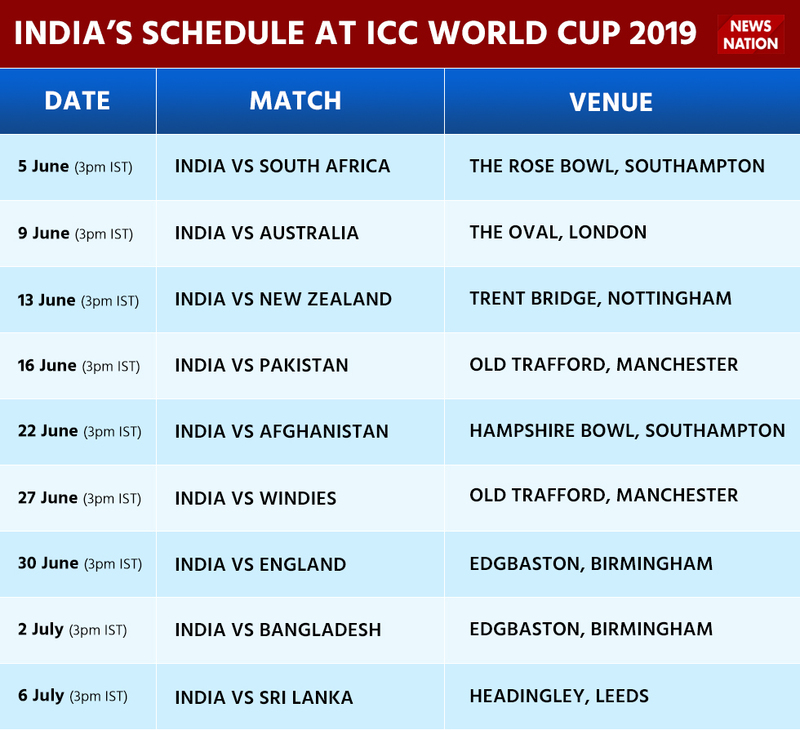 India schedule for upcoming World cup annoounced. India will be up against South Africa in the opening game. Ambati Rayudu and Rishabh Pant misses out. With wins in Australia and New Zealand, the Indian cricket team has signaled their intention that they are one of the favorites for the World Cup. The ‘Men in Blue’ will play their first game against Proteas on June 5 at Rose Bowl, Southampton. The cricket fraternity around the world is hoping for India-England final at Lords, London. 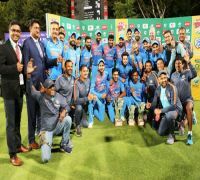 Virat Kohli (Captain), Shikhar Dhawan, Rohit Sharma, MS Dhoni (wicket-keeper), Kedar Jadhav, Hardik Pandya, Yuzvendra Chahal, Kuldeep Yadav, Mohammad Shami, Jasprit Bumrah, Bhuvneshwar Kumar, Dinesh Karthik, KL Rahul, Ravindra Jadeja, and Vijay Shankar.